a collection of nuclei found in the temporal lobe. 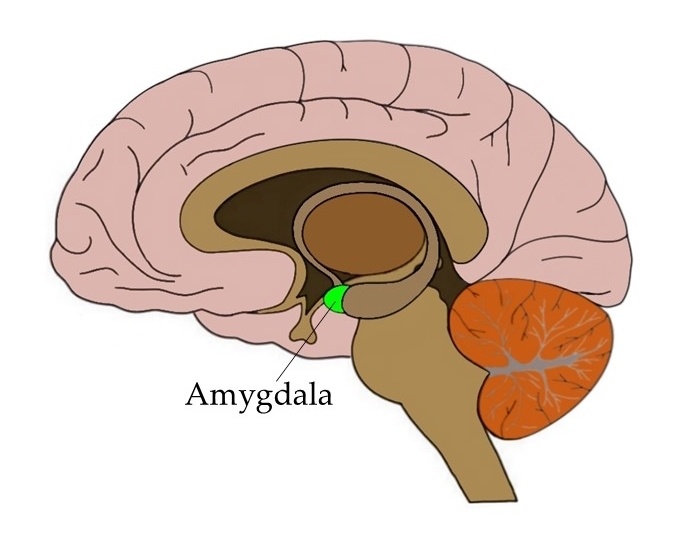 The amygdalae are considered part of the limbic system. They are often linked to fear, but they seem to play a role in orchestrating emotional responses to both positive and negative stimuli—while at the same time helping to form memories about the importance of said stimuli.